These super fast Curried Chickpeas with spinach are packed with flavor and nutrients, vegan, gluten-free, and filling! Plus they freeze great! Dice the onion, mince the garlic, and grate the ginger on a small holed cheese grater. Saut� the onion, garlic, and ginger in a large skillet with the olive oil over medium heat until the onions have softened (3-5 minutes). 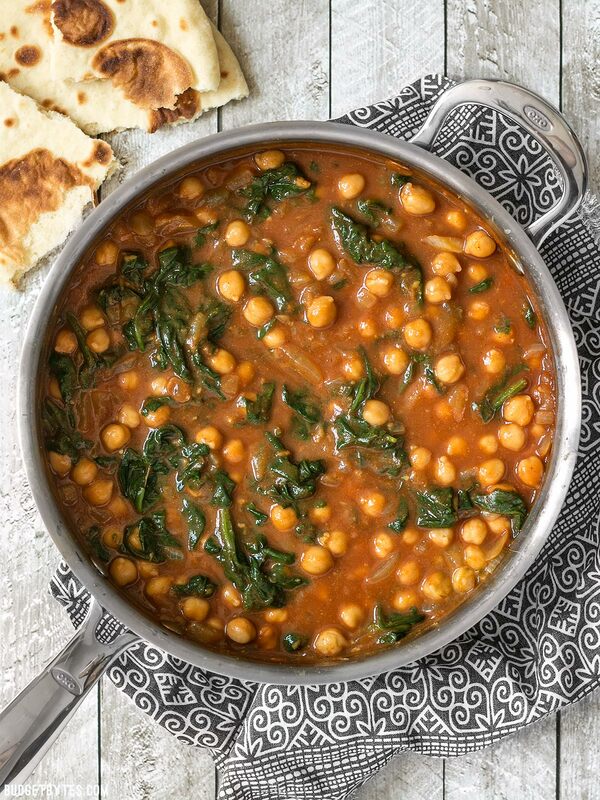 Visit Curried Chickpeas with Spinach @ budgetbytes.com for full instructions.